Hauser & Wirth will join Masterpiece London (28 June-4 July) for the first time this year, bolstering the fair’s until now fairly thin contingent of major Modern and contemporary art exhibitors. The announcement follows the acquisition of a majority stake (67.5%) in Masterpiece London by MCH Group, the parent company of Art Basel, in December. The new association may foster the London fair’s links with large international Modern and contemporary galleries such as Hauser & Wirth, which exhibits at all three Art Basel fairs. Given that Neil Wenman, the senior director of Hauser & Wirth London, has a predilection for ambitious immersive stand designs—see the Bronze Age collaboration with classicist Mary Beard at Frieze London 2017—this could result in a playful, mixed period presentation, appealing to the peculiarly British sense of whimsy. Aside from Hauser & Wirth, other Modern and contemporary art focused galleries among the 23 newcomers include Vigo Gallery (London), Maruani Mercier (Brussels), Sarah Myerscough Gallery (London) and Partners & Mucciaccia, yet another London gallery specialising in Post-War Italian art. Landau Fine Art, the well-established Canada-based Modern art gallery, will also join. Jennifer Landau, president of Landau Fine Art, says the gallery will be showing a monumental Henry Moore, a Picasso oil that hung for decades behind the desk of his dealer, Henri Kahnweiler, and Modigliani's the Bride and Groom, which was given to the Museum of Modern Art in New York 75 years ago. But Paul Kasmin Gallery, whose Iván Navarro light installation in the entrance to the fair last year proved an Instagram sensation, will not return to exhibit for a second year. Masterpiece London has maintained its commitment to being a cross-collecting fair. 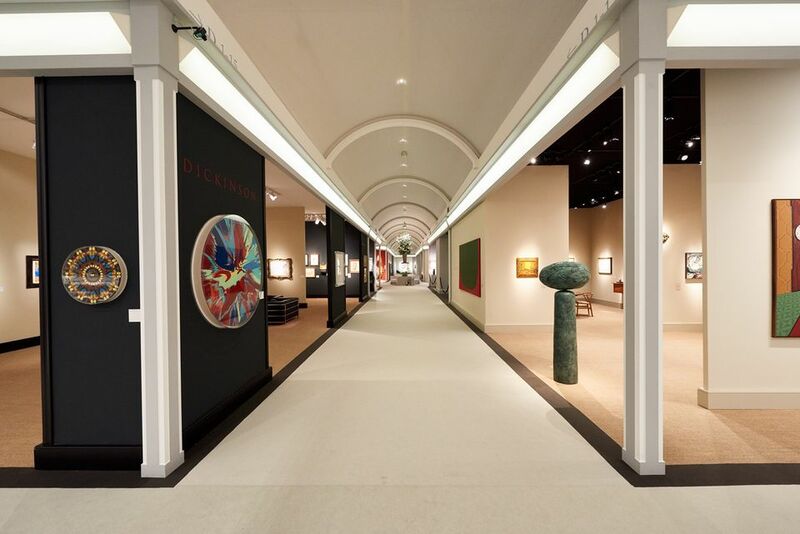 Other new exhibitors include the New York-based dealers Jill Newhouse Gallery (19th and 20th century art), Hill-Stone (Old Master to Modern works on paper) and Hammer Galleries (Impressionist and Modern art). Also new are the London-based antiquities specialist Kallos Gallery, Lullo Pampoulides (Old Master paintings and sculpture) and high-end jewellers Moussaieff and Cindy Chao. The Swiss jewellers Boghossian will exhibit again this year, despite the theft of jewellery worth around £3m from its stand at the fair last year.